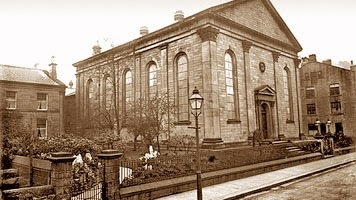 Hope Chapel was opened on 16th June 1858 and was built at a cost of £3,750. The church had moved from the Ebenezer Church a few hundred yards further down the road. This earlier church was founded by the great preacher and visionary, John Fawcett, who left his church at Wainsgate in Hebden Bridge with forty or fifty members to set up the Ebenezer Church in 1777.